The use of instructional media is of vital importance for the teaching and learning of the basic sciences in primary and secondary schools, as it drives home the lesson point of the subject being taught and reduces stress for both teacher and student. The imaginative use of well-planned visual aids during classroom lessons does boost academic performances of students learning physics, chemistry, biology, and mathematics. 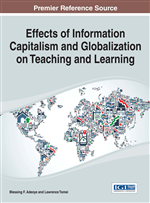 This chapter investigates the impact of instructional media or design usage on the learning outcomes of students in the basic sciences in Lagos, Nigeria. The research design is Quasi-Experimental. The sample population consists of an experimental and a control group. The experimental group is taught with instructional media for a fortnight. The findings show that the use of instructional media positively impacted the learning outcomes of the students, thus highlighting the vital essence of using instructional media during lessons for enhancement of students' learning. The basic disciplines of physics, chemistry, biology, and mathematics constitute the foundation upon which science is built. The Basic Sciences disciplines of physics, chemistry, biology and mathematics are usually complex and abstract. Primary and secondary school students need experiences teacher to enable them understand the abstract subjects by getting through concrete ideas. However, the effective learning of the Basic Sciences in primary and secondary schools remain a daunting and difficult task in Nigeria. Majority of the literature have linked poor learning outcomes in the Basic Sciences to inadequate, inappropriate or poor instructional media or designs adopted during lessons in primary and secondary schools in Nigeria (Esiobu, 2005; Okonkwo, 2000; Familoni, 2013; NERDC, 2005). Instructional media is a broad term, which is often used interchangeable and synonymously with other terms such as educational design and educational technology to generally refer to the technological tools, such as computer programmes, films, video-editing programmes, word-processing equipment and calculating instruments used for teaching and enhancing learning outcomes in students or learners (Ask.com, 2013; Hodges, 2006). Media refer to channels of communication. They are carriers of information between a source and a receiver (Smaldino, Russell, Heinich & Molena, (2005). Media are very essential to good teaching and; to get the most from them, they must be selected properly and used effectively. Examples of media include power point, slides, videotapes, diagrams, printed materials, and computer software. These are considered as instructional media when they carry messages with an instructional purpose. Accordingly, the purpose of instructional media is to facilitate communication as well as to enhance learning. Instructional media serve a variety of roles in education. Their primary role is to help students learn. One way they do this is by providing an information-rich environment (Newby et al., 2006). Instructional media provide stimulated experiences. For example, visuals give added meaning to words, and as such students can see what a new invention looks like, not just hear or read a verbal description of it. Video or a series of pictures are used to demonstrate a process; and this gives learners the best opportunity to see skill demonstrated before being asked to practice it. Hence, instructional media are used to reflect colours, sound and motion that students’ interest and motivate them to learn. Instructional media that are commonly used in the primary and secondary schools in Nigeria include texts such as study guides, manuals, worksheets, textbooks and computer/Internet displays; visuals such as verbal (text or word) elements as well as graphic (picture or picture-like) elements, which can be presented in either printed or projected form; audio, such as audiotapes and compact discs; and real objects and models, such as coins, tools, plants, animals, three-dimensional representation of real objects, realia etc. The use of instructional media by teachers to teach and drive home their subject points at the primary and secondary school levels of our education system is incontrovertibly a paramount important issue in practical classroom interaction and successful transfer of knowledge from the teacher to the learners. The fact is that these media used by teachers ally their teaching in the class tend to have a significant implication for pragmatic knowledge transfer toward attainment of individual subject objectives as well as achievement of academic excellence in the learners in the subject in-question. This is because the truth is that instructional media are channels, which assist teachers to make their lessons explicit to learners. They are also used to transmit information, ideas and notes to learner (Ijaduola, 1997). These media serve as supplement as well as lubricant to the normal instruction processes.